A: The product you remember is probably from Chicago Metallic (www.chicagometallic.com), the makers of Shingle Shield protector strips. These are thin strips sheet zinc designed to slide between shingles or slates so that when rain washes over the zinc, it dissolves some metal to create a subtle fungicide that washes down the roof, inhibiting the growth of moss, algae, and lichen. The product is a good one – especially for cedar roofs – but copper and even galvanized (zinc) flashing have the same action. 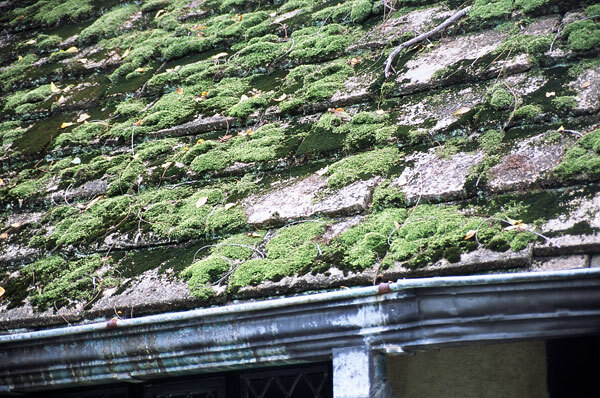 The fungicide effect is often observed as a “stain” of clean roof downstream from chimney and dormer flashings on older houses. 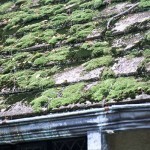 In fact, sometimes a prudent roofer or homeowner replacing a roof will plan copper flashings and ridge caps in such a way as to maximize the anti-moss action over the roof. A: In the 1930s knotty pine was heavily promoted as the ideal wood for creating the ersatz pioneer ambiance of Early American interiors – a direct contradiction of the fact that colonists in New England and Virginia knew well the superiority of clear, knot-free pine that was readily available as virgin timber. In your house, the paneling might have originally been coated with just a thin coat of boiled linseed oil over stain to effect a simple, homespun appearance in keeping with a colonial conceit. Or, the builder might have used a traditional oil varnish that would be both more durable and sophisticated. Non-polyurethane equivalents of traditional varnishes are hard to come by today (McCloskey’s Heirloom Varnish is one elusive example), and water-based coatings, a common modern alternative, don’t become pine that much in some people’s eyes. Wax was used in the early 20thcentury but collects dirt and takes maintenance. While polymerized tung oil was probably not used in 1934, some people choose it today for wide pine floors where, historically, there was no finish. Here the idea is the oil gives some nominal protection to the floor, but does not look like varnish or other top-coatings because it penetrates surface like varnish and is easy to touch up. Regardless of the route you consider, test first on, say, the underside of a shelf to make sure you have the look you want before proceeding with the whole project. A: The short answer is your knob & tube wiring was never designed for insulation and you should not insulate your house before getting a proper inspection. 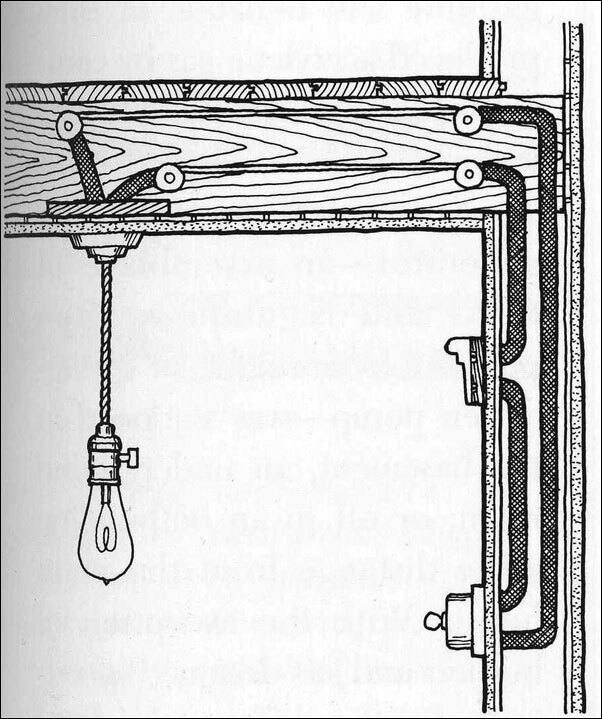 One of the earliest systems, it strings single conductors between porcelain posts and tubes, and for decades the National Electrical Code has recommended against placing any insulation near knob & tube wiring because of the potential for shorting out the lines and starting fire. 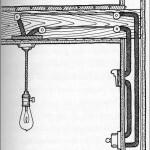 Knob & tube was being phased out in the 1930s, so at this point the old wiring in your house been obsolete for at least a half century. Insulation aside, you need to consult an electrician immediately because a working knob & tube installation of this age can present a fire hazard. The insulation is usually way past its useful life (sometimes even falling off) and the wire sizes and circuit protection are very likely totally inadequate for modern loads. A: Like built-in ironing boards and fold-down Murphy wall beds, disappearing stairs that slide into a ceiling were one of the space-saving innovations that came on the scene to enhance the efficiency of the new, compact bungalow lifestyle. Unlike the hinged-ladder types common today, these were actual stairs that tipped and rolled down out of the ceiling. 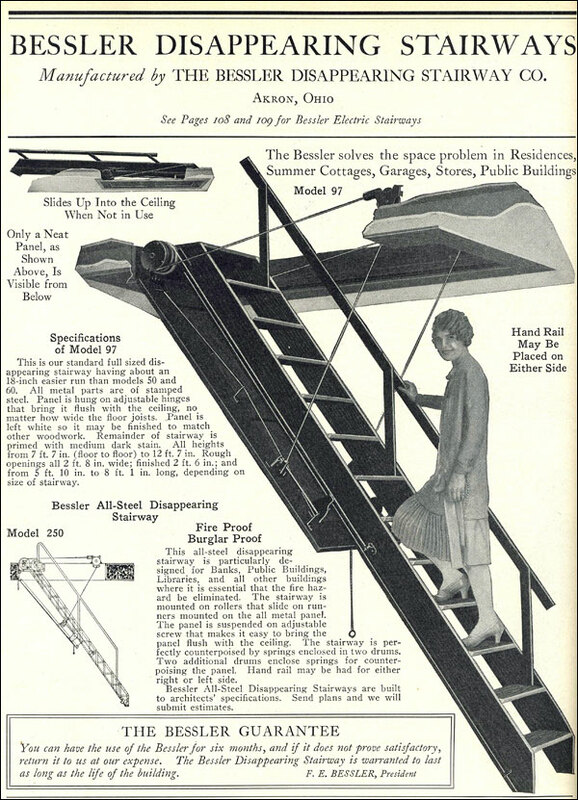 By the 1920s there were several manufacturers fighting over the market, including The Bessler Stairway Company, which originated the idea in 1909, and their arch competitor, Farley-Loetcher. 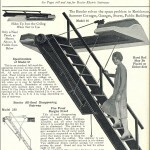 The latter is long-gone as a business, but Bessler continues to manufacture a variety of stairs from their Memphis headquarters (see www.bessler.com), as well as provide parts for their older products when they can. A: Good question. Yes, Victorians loved shiny clear finishes for trim and floors – especially to show off rich woods — but they were far from shy about using paint either, which was available in many then-new colors and types. 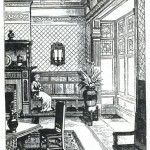 Tastes shifted over the course of the 1870s to 1910s era, but a good point of reference are the remarks of a critic who wrote in 1881 that “A white door is especially objectionable, just as white woodwork generally is.” He goes on to suggest that woodwork be painted “a tint of some kind” with the panels in door and below windows being warmer and harmonious as in “gray for the base and flush of purple or pink in the panels.” Doors could be dark green or brown with lighter panels. Ebonizing – a finish treatment that simulates ebony – was recommended too, and with surprising contrasts, such as panels painted or accented in gold. 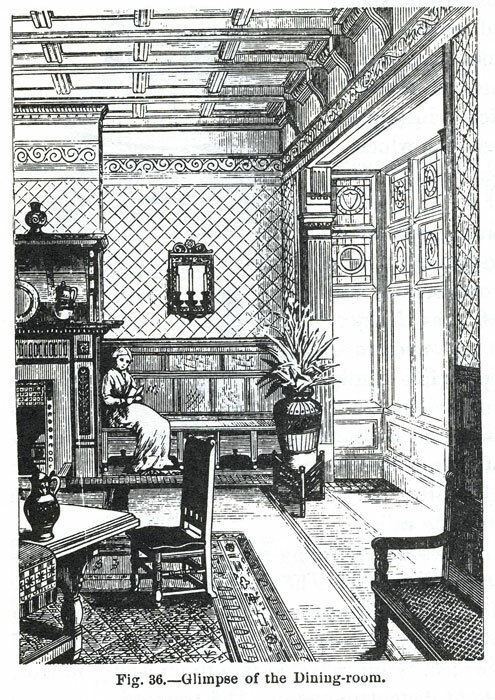 For more ideas with pictures, get a copy of the book Victorian Interior Decoration by Moss and Winkler (Henry Holt publisher), a great, affordable reference (though regrettably now out of print).